We’re here at Google I/O, the search giant’s annual developer event in San Francisco. The first day’s keynote address is happening right now, and we’re covering it live. 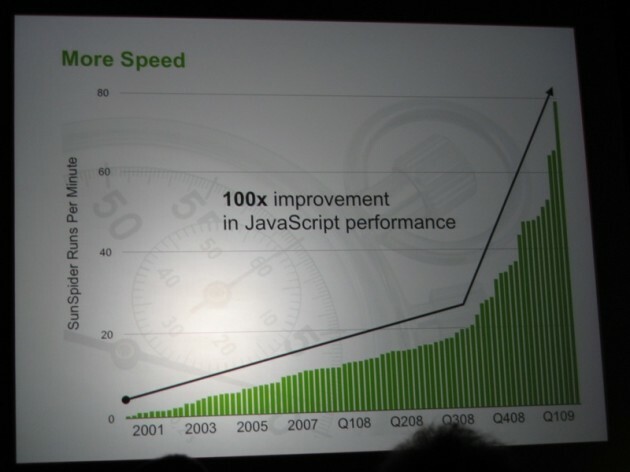 The theme of today is pretty clear: The time for development on the web has arrived. With HTML 5, the ability to create rich browser-based applications is here. Google’s Vic Gundotra has laid out the five key things for HTML 5 that will change things: Canvas, Video, Geolocation, Database and App Cache, and Web Workers. More details on all of those in my live notes below. Going to talk about App Engine. Now works with Java. Android looks like it’s going to have a strong year. We’re just the beginning of getting this right. 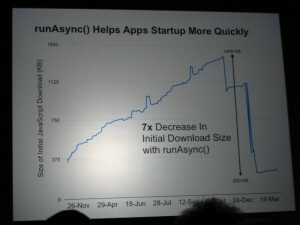 This is the beginning of the real win of cloud computing, of applications (on the web). “Never underestimate the web.” At Microsoft (where he used to work) we thought web apps could never rival desktop apps. “The web has won.” A more powerful web made easier. New HTML5 standards. A chance to do things differently. Almost half billion people now using modern open source browsers. Canvas is on Chrome, Firefox, Safari, Opera — Let’s talk about IE (laughs). Microsoft has made public statements to the HTML5 standard, we eagerly await seeing evidence of that. 3D in the web browser. Game-like graphics, but this is in the web browser. Big on textures, all coded in the source code. Doing all the graphics on the GPU, CPU load in demo is less than 10%. We want to get to where you can type a URL and immediately play a rich app. So we need common APIs that are in your browser of choice. Standards are the key. Working with Apple, Mozilla and “others” — no mention of Microsoft, chuckles. 2) Video – Video in the browser is tough today because it’s about plug-ins. Now a new video tag. 3) Geolocation – All apps could be better with geolocation. Cell ID and WiFi solve the problem of getting the data. They’ve mapped really the entire world. Again all the browsers but IE support this now. Gundotra is thanking Mozilla for their hard work in making new standards possible. Another jab at IE. The browsing competition is heating up again. We all have different missions, but we share things in common. 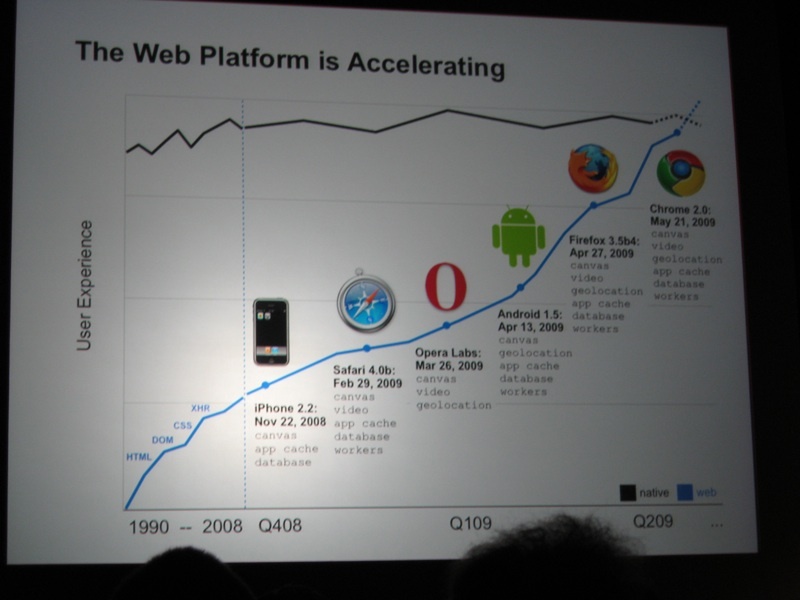 We believe the web is the developing platform for our time. Demo of Latitude using geolocation — on the iPhone. And this is all in the browser — not a separate app. 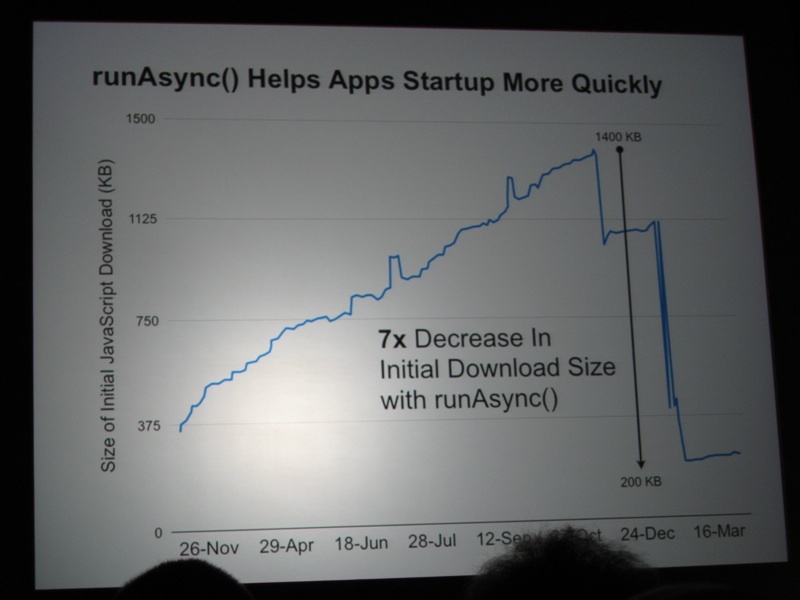 4) Database and App Cache – Store what you need locally to make applications faster. Showing off Gmail on an Android phone — running offline. 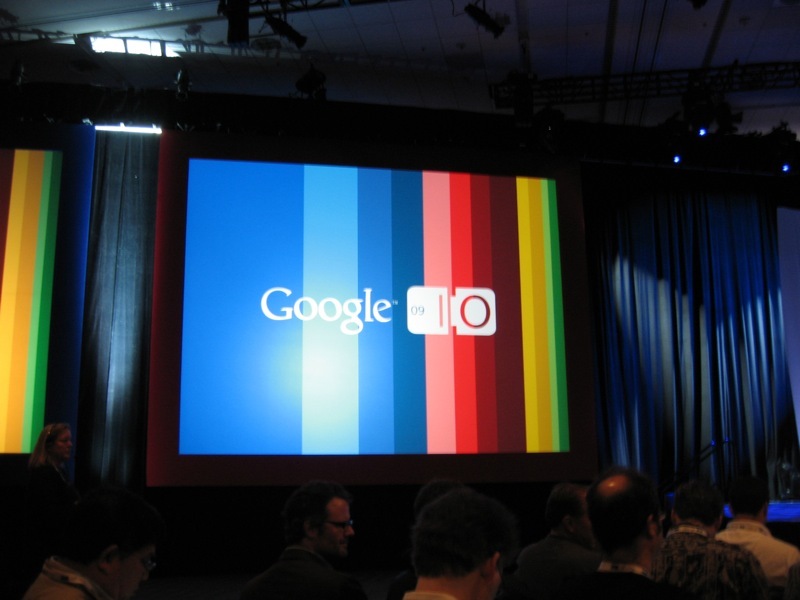 A year ago no one would have predicted Palm would be onstage at Google I/O. 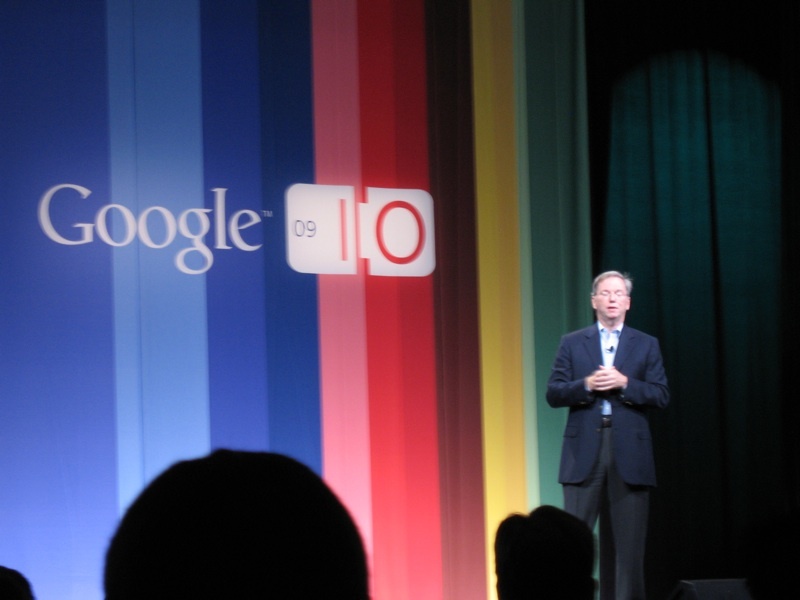 But we agree the web is the platform — that’s why we made webOS. The past problems of having the browser freeze. Background processing now possible with these new standards. Now we have Java support — interest has been remarkable. Showing off App Engine demo. Making an app right now. Over 60 APIs available for our Google products. 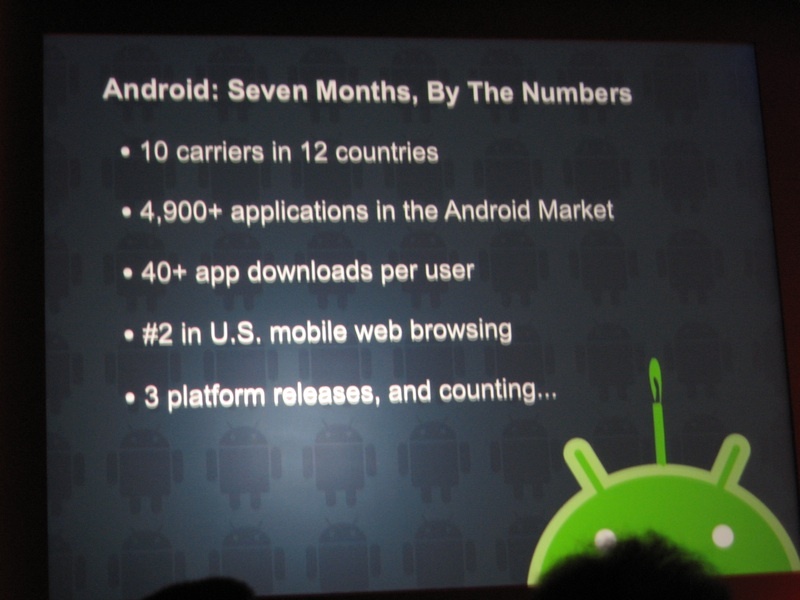 Over 4 billion API calls everyday coming into Google. Huge. Today something new — You know AdSense and YouTube Embeds so easy to embed. Imagine it for everything else. Example: Pull in Google News box — embedded in your page. 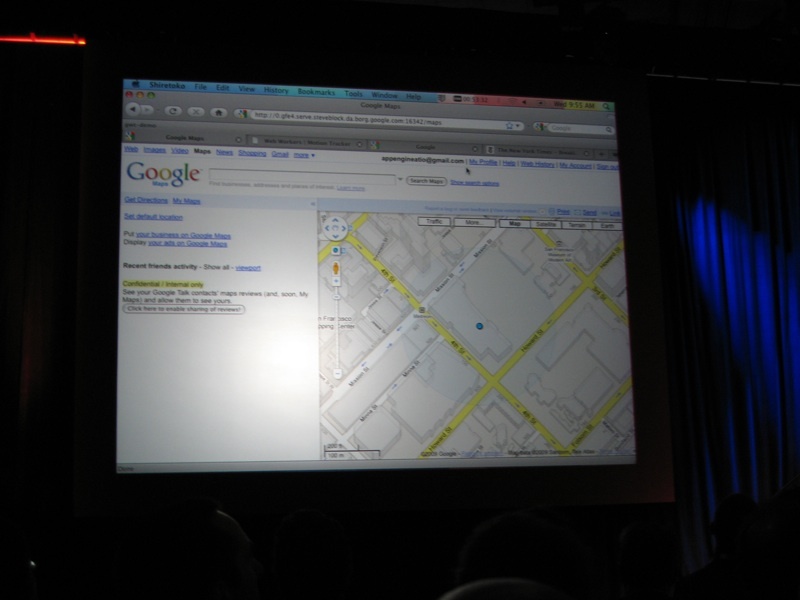 Maps, Presentations, available for a lot of Google products. Google Conversation element, allows visitors to post comments and videos — kind of like FriendFeed embed. Search should be more powerful. Kind of looks like the new search in the iPhone 3.0. Add a new API — Text-to-speech API. Lots of different voices, and different languages/accents. Applause. And this engine is open source. And there will be more APIs (not ready to announce today). Part 2 of the Android Developer Challenge. Submissions through August, winners at the end of the fall. User votes now as part of judging. Give away a box a new Android phone. For everyone here. Huge applause. Vic’s Oprah moment. Included with a SIM with unlimited 3G data. Daaaaammmnnn. And call time. Update: And it looks like it’s a HTC Magic, the G2!